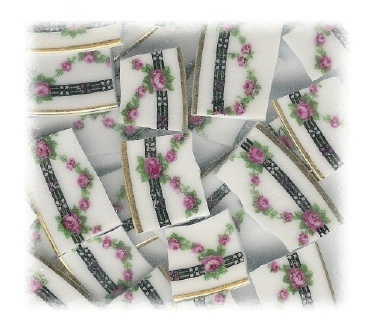 24 tiles from H & Company Selb Bavaria china plates. Pink roses, green leaves, black band on edge with white and red flowers, gold rim on white china. All rim tiles. Tiles average approximately .50" wide - 1.25" wide.